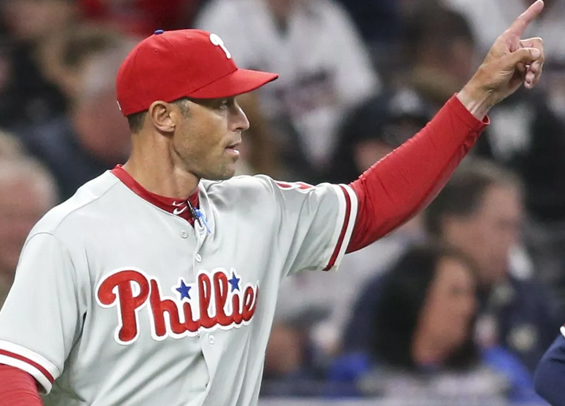 Phillies manager Gabe Kapler spoke with the media about three hours prior to Thursday's first-pitch and he was beaming about the lineup card he had sitting on his desk. "I think today is a day to celebrate," Kapler said with a smile. "What a great job our front office did in putting this roster together. We got some new leaders, but certainly from a lineup perspective, we're really happy with where we are." He and the organization have every reason to be happy. The Phillies Opening Day roster includes nine former All-Stars, two MVP's, a Cy Young Award winner, and Rookie of the Year Award winner. "That middle of the lineup is ferocious," Kapler said. "We know we have a lot of work to do and have to perform between the lines, but the guys on that lineup card is a group to be proud of." "There's still some reps to be competed for. Maikel Franco is our Opening Day third baseman and he's going to get a good look, and at the same time Scott Kingery is going to get to play as well. I think there's at-bats to be earned in center field, too." "He's the kind of guy that's equipped for this moment. The biggest stage and the brightest lights. He's been on that stage since he's been 15-years-old. One of the things I've found most impressive is how he's handled everybody's questions and done so in a pretty mature way. He knows himself very well and talked about how the batters-box is his sanctuary, so there's all these distractions everywhere he goes, but when he rests that bat on his shoulder for a second, everything else falls away." "This is a guy who is misunderstood. He works really hard. He's learning how to work really hard and to increase his volume of work. He's learning how to be a present and focused athlete. There's no shortage of care and there's no shortage of work, or willingness to dig in. We are all still learning him and he's got a lot of work still to do, but he's consistently been up for the challenge and he's never shied away from tough conversation or something that we ask of him."